The quickest way to ditch the doldrums? It’s all in the colors you wear! And, what better time to start investing in punchy pigments than when the colors around you start to bloom? This spring, pair poppy orange, lemony citrus, minty green (& more!) with refreshing neutrals like crisp whites & creams. Here are 4 ways to wear brights right now. These jeans are the equivalent of a stylish sea breeze. They lighten up your look & are less stifling than dark-wash denim. Why? Thick, dark fabrics attract sunlight. Don’t be afraid to up the amp factor in a complementary color like poppy orange & some cream accent items. Stylist Tip: Need a color wheel refresh? A complementary color means that it sits on the opposite side of the color wheel. Be inspired by the refreshing tones of a creamsicle (stylishly yummy!). If you love pinks, opt for spring-friendly hues—like salmon or coral—paired with your favorite neutrals. Wearing two tones that fall in this soft, pastel palette will create a refreshing, well-balanced look. Stylist Tip: To add a punch to your look, try a pair of summer slides with a touch of metallic shine. Remember, colors like gold, silver & rose gold play nice with brights. Need a citrus spritz? There’s nothing more cheerful & mood-boosting than an injection of Vitamin C into your wardrobe. Try mixing & matching the colors of your favorite sour (or sweet!) fruits to get this vibrant, color-blocking style. Stylist Tip: Cool it down with bright, cobalt shoes & a white button-up layered under your knits to offset the louder lemony tones. Take a walk on the wild side! 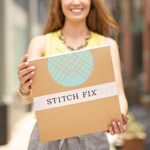 Start with a watercolor, floral or bold stripe on top, then reach for your white cut-offs to make the pattern pop. 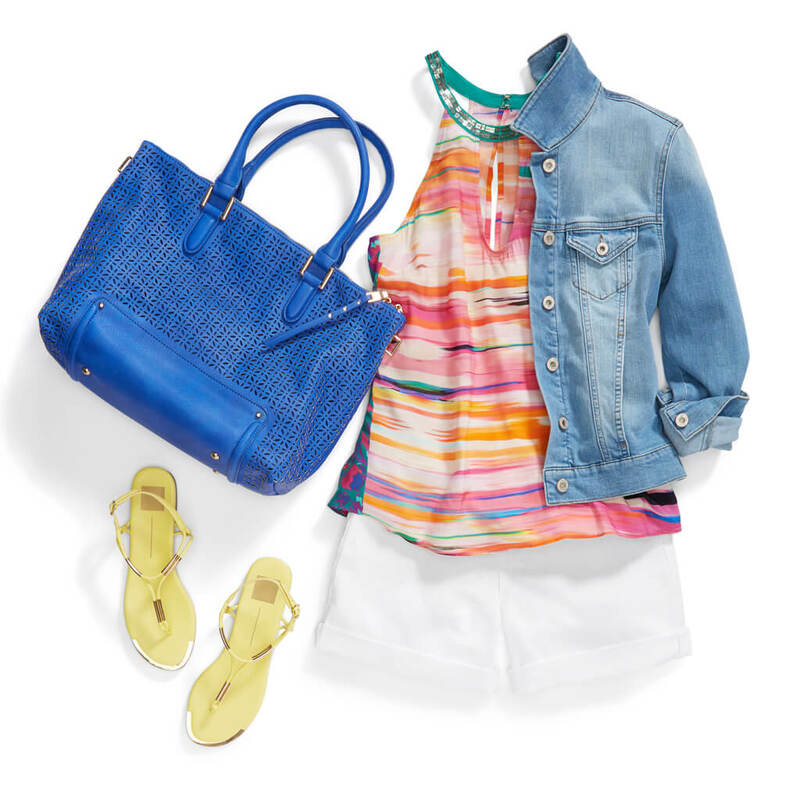 If you’re feeling extra splashy, pair the look with bright sandals & a pop-color tote, too. Stylist Tip: To keep your outfit (color) cohesive, go back to our color wheel exercise. For a look that’s wild but balanced, look for bold colors that sit across the wheel—like cobalt & citrus! Are you all about going bright & bold? Tell us how you’ll wear color this spring.